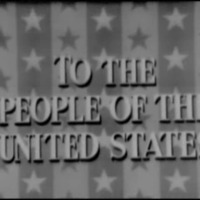 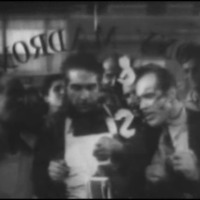 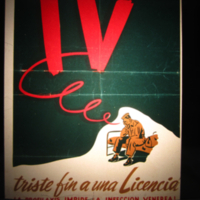 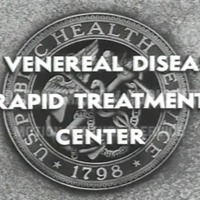 This film presents a newly developed Rapid Treatment Center, one of a large system of centers created during the war. 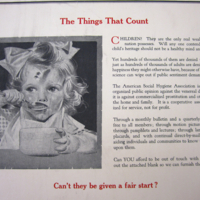 It shows the treatment program female patients undergo as well as the "rehabilitative" programs conducted. 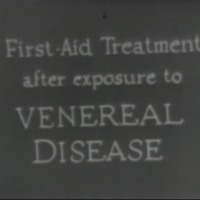 This film was created to educate physicians about venereal disease. 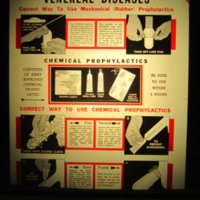 It explains symptoms and how to diagnose syphilis, general control principles, treatment, congenital syphilis, and other topics. 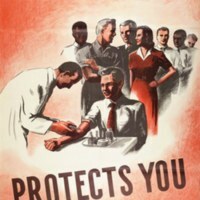 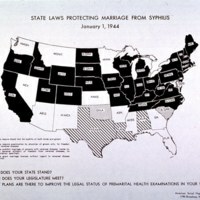 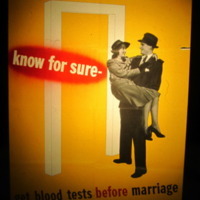 "Guard them against syphilis, Get a blood test today"
This poster advises audiences to get a blood test. 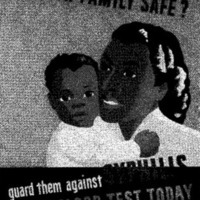 It features an image of an African American mother and her baby. 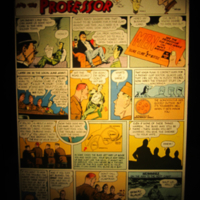 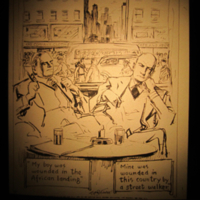 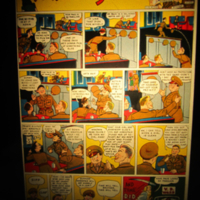 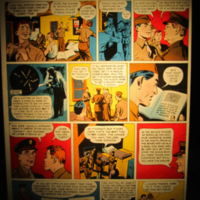 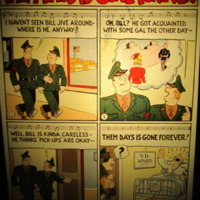 This comic poster shows two servicemen discussing the fate of their friend who contracted VD from a pick-up. 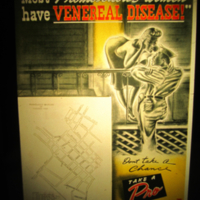 "For Prevention of Venereal Diseases"
This poster details how to use mechanical and chemical prophylaxis.